In this episode of Left, Right and Center, host Jim Chapman asks the panelists about bank profits. In this episode of Left, Right and Center, host Jim Chapman asks the panelists about Ontario’s Human Rights Commission. Left, Right and Center #17: Cultural Superiority? In this episode of Left, Right and Center, host Jim Chapman asks the panelists about the idea of cultural superiority. 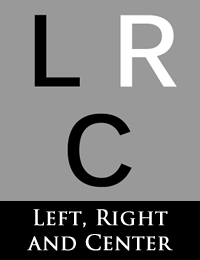 In this episode of Left, Right and Center, host Jim Chapman asks the panelists about political left and right.